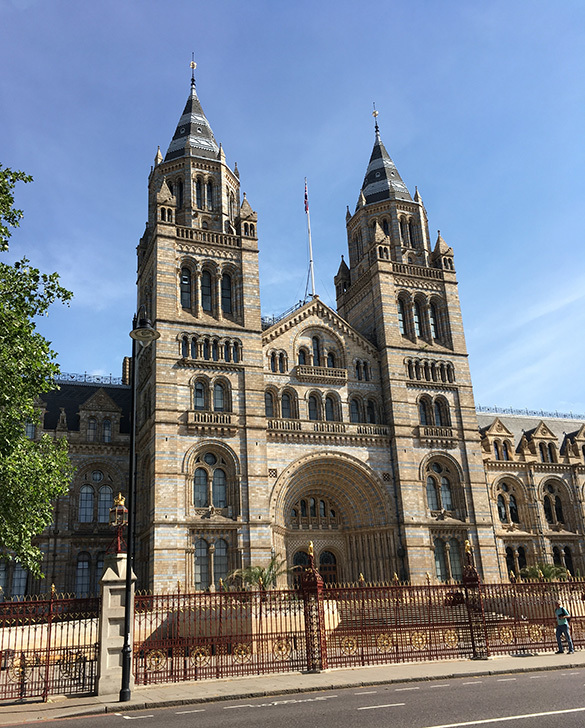 London, England — The Natural History Museum is one of my favorite places on Earth. It is a secular cathedral of science; a celebration of life’s long history and glorious diversity. I’ve had the pleasure of working here many times, and each visit renews the enchantment. I’ve arrived to do a few days work in Paul Taylor‘s lab and the associated fossil collections. Inside the bowels of the museum are thousands of drawers of specimens carefully preserved for research. This is an example of one drawer. It happens to be full of Ordovician bryozoans. 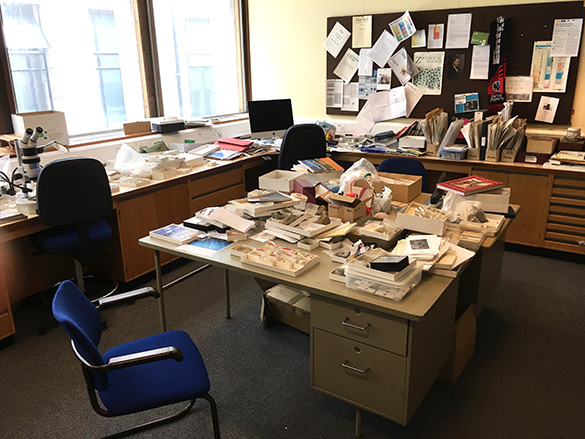 It may look chaotic, but this is a center of fossil bryozoan research — Paul Taylor’s office and lab. I’ve been visiting Paul in this space since 1985. 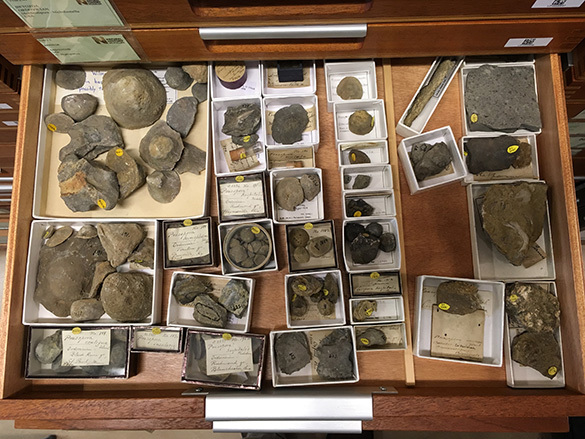 Note the small patch of labelled specimens on the desk in the foreground. They’re from me. These are specimens I brought for us to study. The brown one on the left is a bryozoan-encrusted bivalve collected this year in the Middle Jurassic of Utah. 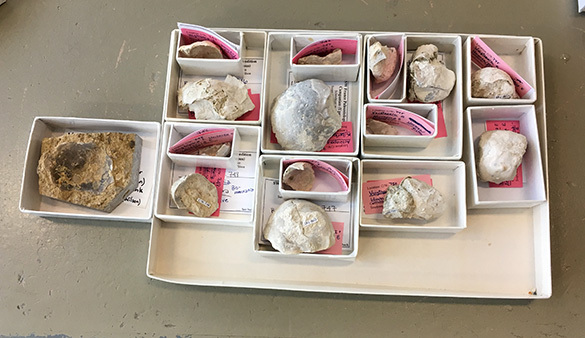 The pink-labelled specimens come from Macy Conrad’s (’18) Independent Study work, part of our team project on Upper Cretaceous bryozoans from SW France. Eventually many of these fossils will be imaged with the NHM Scanning Electron Microscope, with which Paul is a master. 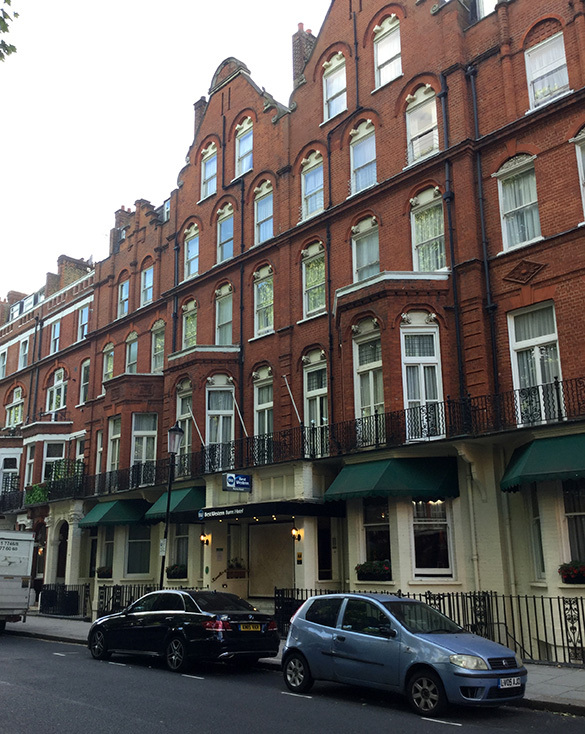 This year I’m staying in a small hotel near the Earl’s Court tube station, just a 15-minute walk from the museum. Very convenient. With this post my Wales and England travel posts end. Later I’ll write about the results of our various projects. Thank you again to my hosts Caroline Buttler, Tim & Caroline Palmer, and Paul Taylor. I am fortunate to have such friends and colleagues.